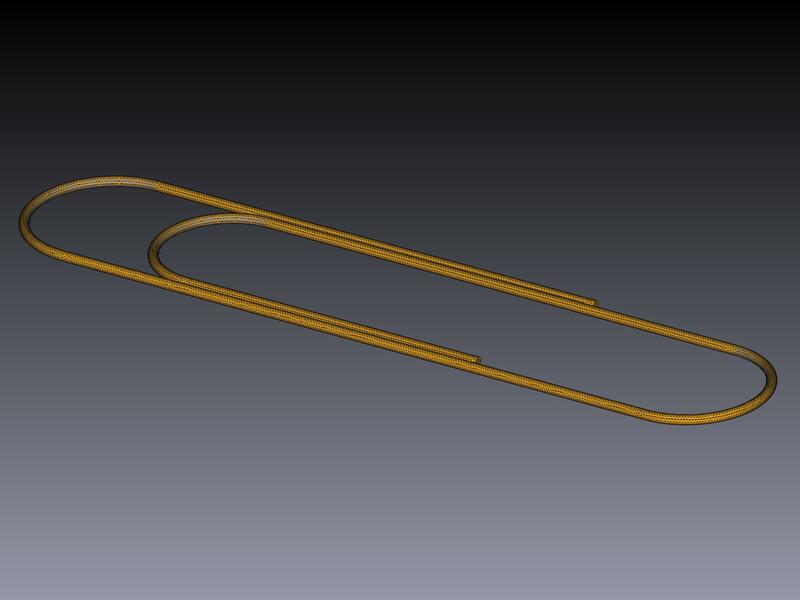 A paper clip as simple as it is. It always is handy when we need to join paper sheets together. A soft metal wire is bended in such a way that when we insert a few paper sheets in-between the bended profile, it will act as a spring load pressing the paper sheets together. 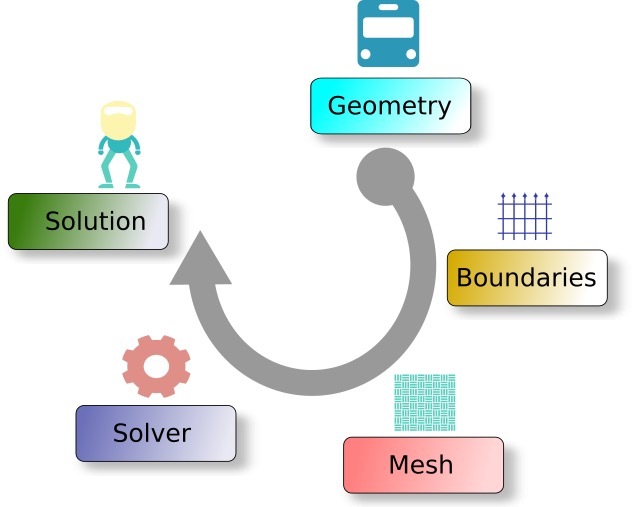 The salome mesh environment also presents many options. It reminds me a bit of LSPrepost in the LS-Dyna product from LSTC or Hyper mesh with some differences. 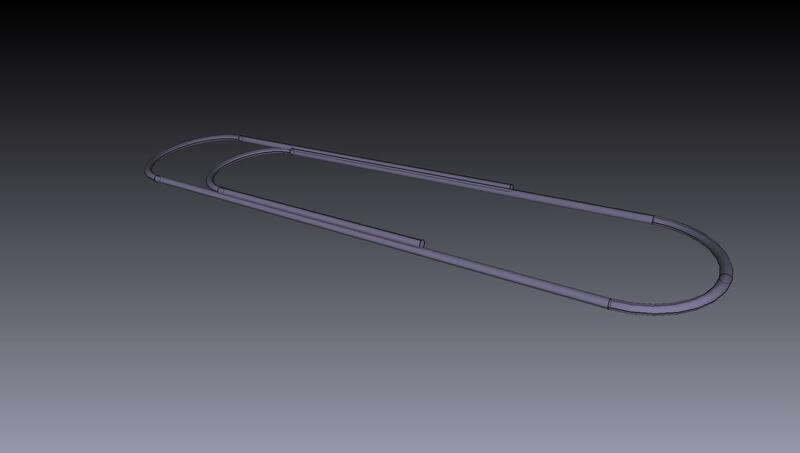 On the example I am showing I fused all the parts toguether since I didn’t know at the time if I could define contacts. The mesh generation algorithm’s come from NetGen it would be nice to see in the future Gmsh support as FreeCad is doing on it’s 0.17 version. 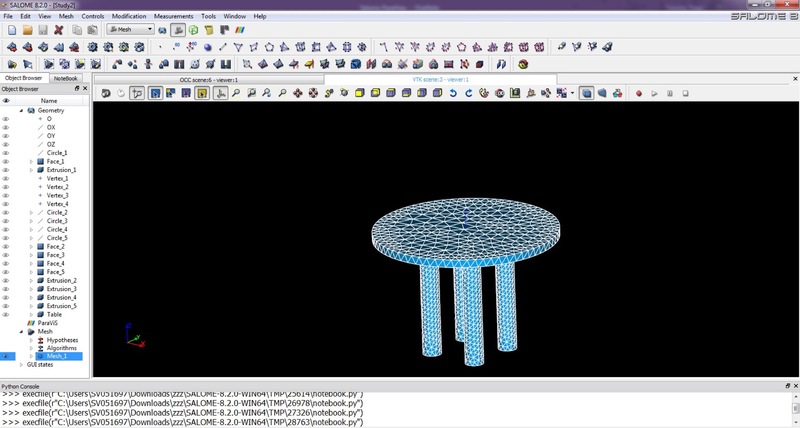 Meshing and viewing in Salome is quite simplistic and non visual. 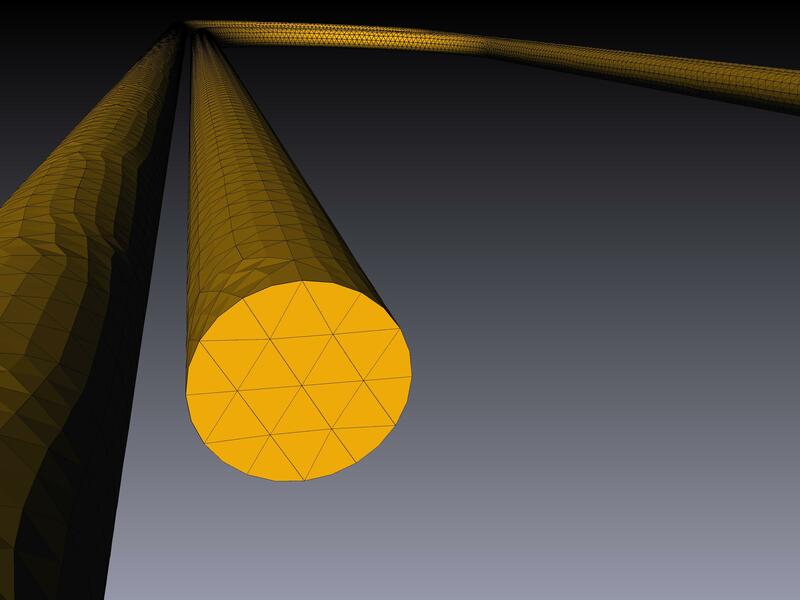 Tools like Ansys give us access to selecting surfaces, edges, and lines to allow us to define what we wanto to do to them. This is a limitation that NetGen, Gmsh and other open software lack. Also to troubleshoot a problem requires some knoledge of the mechanisms behind Salome and NetGen. Rendering sometimes fails to display meshed parts or displays parts of them and this was a bit anoying to me. With the Salome package we get a geometry creation editor, a mesh generation editor and a post processor analyser but where is the solver? This was something that didn’t feel well when I started with Salome, I knew that eventually I would get into a dead end. And so it was wright! To use a solver I need Code-Aster or if I want the two packages bundled toguether we need to use Saolme-Meca where it intigrates the solver. I will get to that subject in a future post.